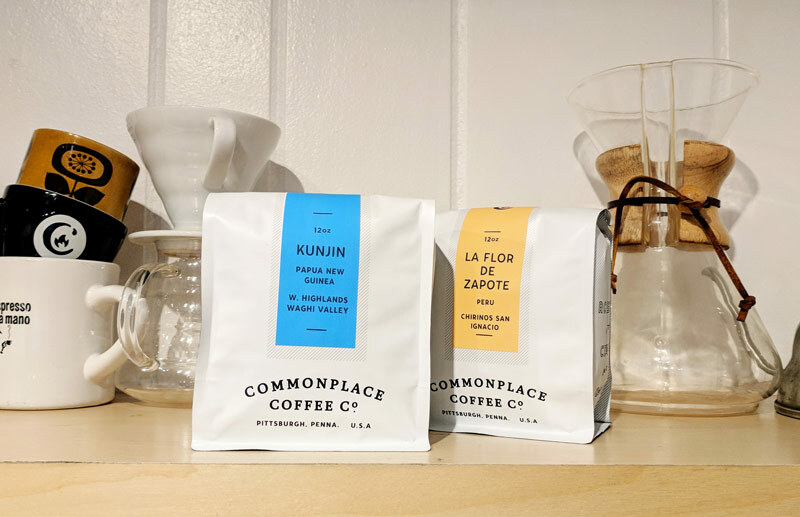 Our second address in Pittsburgh, Commonplace Coffee — Voluto opened in June of 2012 and in doing so, continued a theme for us: organic growth spurred by surprise opportunities and the people in our family. A staff member had been working part time with us, and as their family grew, knew they needed to work more. At the same time, we were helping the owners of the original Voluto with other projects when they decided they wanted to sell the shop. Again with help from friends, we were able to adopt Voluto into our shops, become a part of a new community, and welcome more staff into Commonplace. We didn’t change much other than equipment at first and wanted to keep part of the name out of respect for the community already calling Voluto home. Our friend and manager of the shop, Drew, had a love and talent for hand-poured coffees, which became and continue to be an exciting focus for this shop. We were so excited about the space, and we were excited to use it to show how coffee was growing and changing in Pittsburgh. 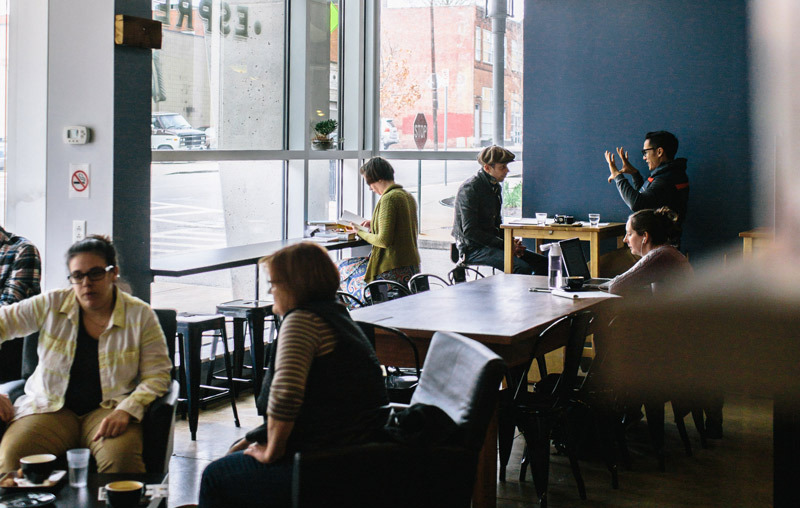 Today, Voluto is a space for residents of Garfield, Friendship, East Liberty and beyond. In an area of the city that has seen rapid change, we’ve held internal and community discussions about what it means to be there. We try to provide a space for all of our community members. We do offer single-origin pour overs and espresso based drinks, but it is also important to us to offer discounted drinks for neighbors and community members, a place to sit, a glass of water, and people to talk with. Our staff is proud to make different connections with those that join us. Voluto is a space for makers and doers, good listeners, friends and neighbors.